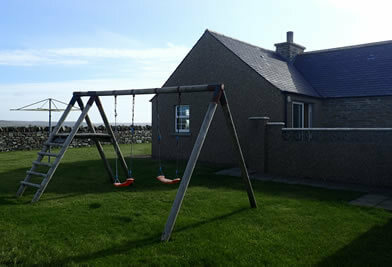 Original Orkney stone cottage now 4 star self catering accommodation. The Peedie Hoose was once a traditional style ‘but and ben’ Orkney cottage with flagstone floors and box beds, last lived in by a family in the late 1950’s. It has been under the current ownership since the early 1980’s and used as a store until it was decided to renovate it into a self-catering holiday cottage. The outside of the cottage remains and retains it original charm, with the addition of a small new build extension at the rear. 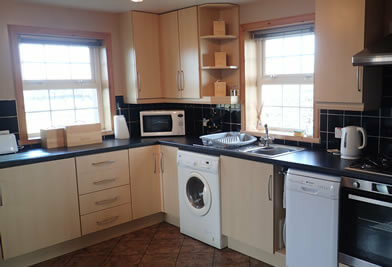 The inside has been fully modernised and tastefully decorated. 'Peedie' is the Orcadian word for small and although the cottage is small it is by no means cramped. The renovations were completed in 2005 and since then it has been busy with tourists visiting from all over the UK, Europe and from America. The Peedie Hoose is ideally located in the heart of the West Mainland making it an ideal base for all visitors whether wishing to visit the many ancient archaeological sites, bird watch, fish or to simply relax and get away from it all. The Peedie Hoose is owned and run by Wendy and Colin Kirkness, both local Orcadians having been born and brought up in Orkney. Their family home is next door, across the drive so they are on hand to assist and give advice - should it be required. When you arrive, when possible, you will be personally met and shown around the cottage and you will find a welcome pack with basic provisions, Orkney produce and a bottle of your choice of red or white wine. "We have really enjoyed our stay here. You have thought of every single thing anybody would need. The milk, bread, butter etc was very much appreciated after our long journey here and of course ‘the shower'. Thank you for letting us enjoy your lovely ‘Peedie Hoose'."